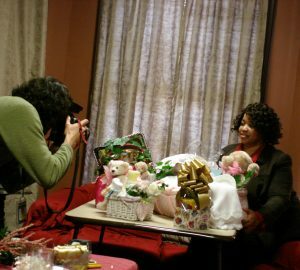 Do people ask you for favors because your gift basket business is at home? If you want success, you must remove distractions. Here’s three effective ways. When you own a business, many people think that you have time for them during your office hours. Their antics to get your attention can zap your energy and make you snap at or sound unappreciative to clients who call to order. I never had a problem with my husband or daughter. They recognized the validity of what I was building. How? 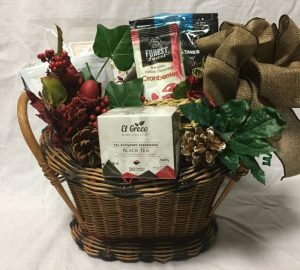 When I decided to start my business, I talked with them about how gift baskets would provide us with more time to be together during off hours. The education paid off brilliantly. We traveled frequently for vacations, and each of them accompanied me on business trips in places they’d never visited. Still, other family members need additional training even though I’ve been operating for 29 years. Now that technology is everyone’s pseudo-friend, I receive text messages during work hours. That’s fine with me because I respond during breaks and after hours. My text-based family becomes anxious since I don’t text right back, and that’s fine. I’m living my life and doing business on my terms. The same can be true for you if you make a habit of identifying distractions and taking action to deal with each one. Step one is listing what takes time away from business. Write down what occurs during the work day so you solve each problem ahead of time. Step two is not being annoyed when a new distraction occurs. Once you commit to fixing the problem, your energy is put back where it needs to be – with your business. Step three is reviewing what’s working and what is not. One solution will be ideal, and another may not. Pat yourself on the back for what’s good and figure out the rest. Use your cellphone’s Do Not Disturb feature during work hours to block all calls or calls from specific people. Tell them, ahead of time, why you are unable to answer the phone. Some may not respect the rules and call you on another phone within your space. That’s fine. Don’t answer that phone either. Make and keep your rules, or your rules will never be respected. You may be thinking, “What if it’s an emergency?” The call is rarely, if ever, an emergency. Trust me on this. The same people who call you may also come by your office (home based or otherwise) to distract you. When you alert people about your business hours, you must tell them that the rule applies to dropping by unexpectedly. My sister tried this once, and I didn’t answer the door. She texted me while at the door upset that I wasn’t giving her my time. I kept working and called her at day’s end. 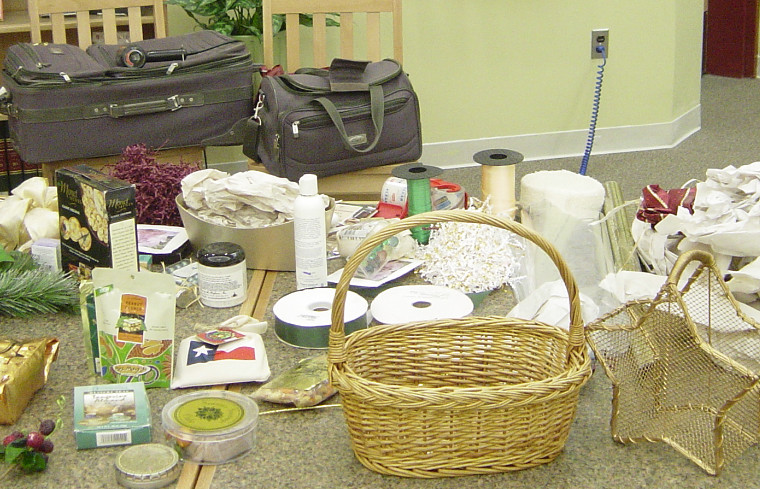 You can let people distract you, or you can get on with the business of gift baskets. It’s your decision. As I type this, Mae and Pepi (twin Yorkies) are scratching on the office door because I’ve locked them out. They were pawing at my leg and barking randomly. They don’t understand that mom has to work. Pets, like people, can be trained to wait for your attention. Do what you must to keep their cute little faces out of the business zone. Children are, of course, quite different than pets. I’m unable to provide specific solutions because children are of different ages, temperaments, and needs. The situation is for you to determine if you need qualified care or another solution. Your business will fail if you do not have a plan. 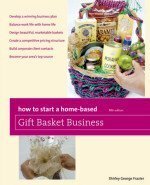 There are other concerns that are specific to your environment, and many of them are explained in the book, How to Start a Home-Based Gift Basket Business. What’s the worst distraction you either solved or are still looking to fix?